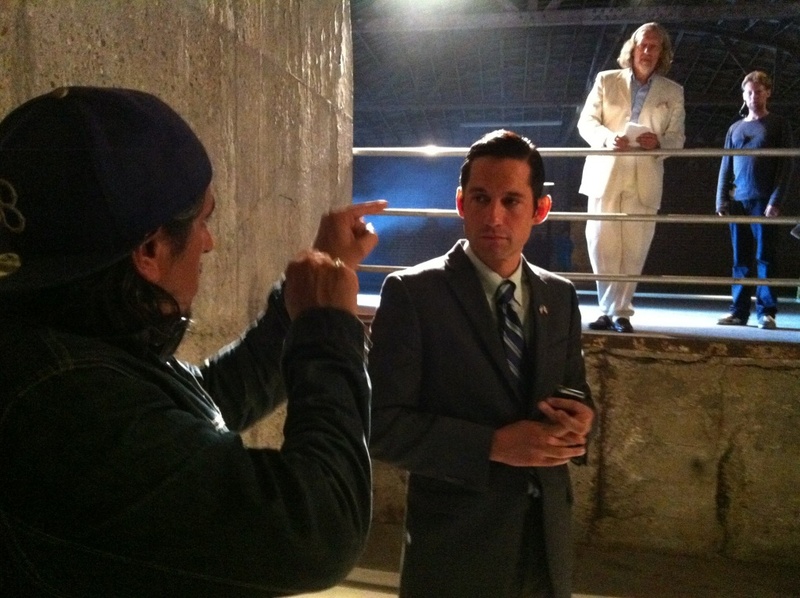 Writer/director Richard Montoya, left, on the set of "Water & Power." There are an estimated 3,000 film festivals around the world, and one of the newest debuts Oct. 9-12 in the up-and-coming L.A. neighborhood of Highland Park. The festival opens with a screening of “Water and Power.” It’s the feature directorial debut of Richard Montoya, a member of the Culture Clash theater trio, who adapted his play of the same name. Montoya spoke with The Frame about the new festival and the development of his first movie. It's the Highland Park Independent Film Festival, and I think that's important to mention because it's fiercely so. And Highland Park...like Echo Park and Silver Lake — we're talking about these neighborhoods growing and finding new identities and merging old identities and perhaps becoming a hipster neighborhood. And so it's a symbiotic relationship...but this [festival] is really nice. Alessandro [Gentile], the artistic director, has curated a beautiful festival of first-run films. The simple answer is the Sundance Institute — [Robert] Redford's generous gift back to potential filmmakers. Michelle Satter, who co-created the Institute with him, they have a team that is on the lookout for work. Mine was a stage play at the Mark Taper Forum and it was a noir-ish, rather cinematic take on the powers of Los Angeles. One of the resident producers came to see the stage piece and said, "I think you should submit this to the Institute." I remember my first meeting with [author] Walter Mosely. He laid my script out on a table and said, "You don't have a film here yet, but we're going to work on that." It was a humbling seven-year process, and finally the script was ready to go out and attract a producer — Mark Roberts — and finding our money, And then filming in 12 nights on the streets of L.A. The Highland Park Independent Film Festival runs Oct. 9-12 at the Highland Theater.